With simple means I have overcome my diabetes 2 and now my glucose level, blood pressure and cholesterol levels are also really good. My progress report with holiday tip and advice. 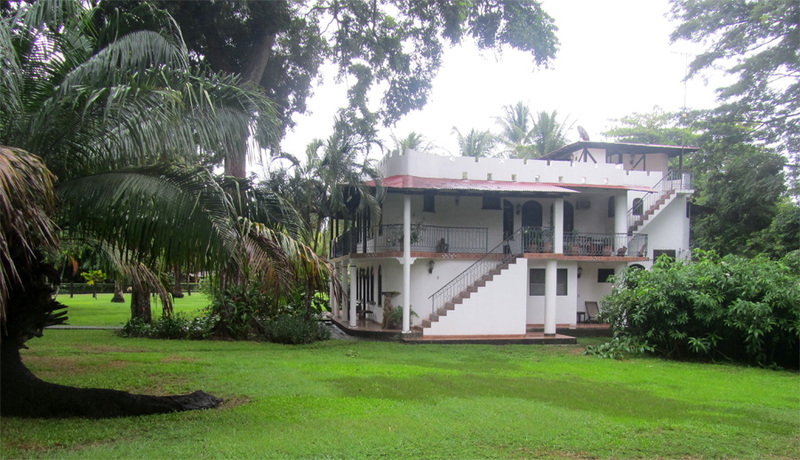 I came 1993 to Costa Rica and have a small individual hotel and restaurant at the pacific coast. To this day I am glad and happy about it. Lately I did not feel very well, after some studies the doctor gave me the diagnose of diabetes 2. 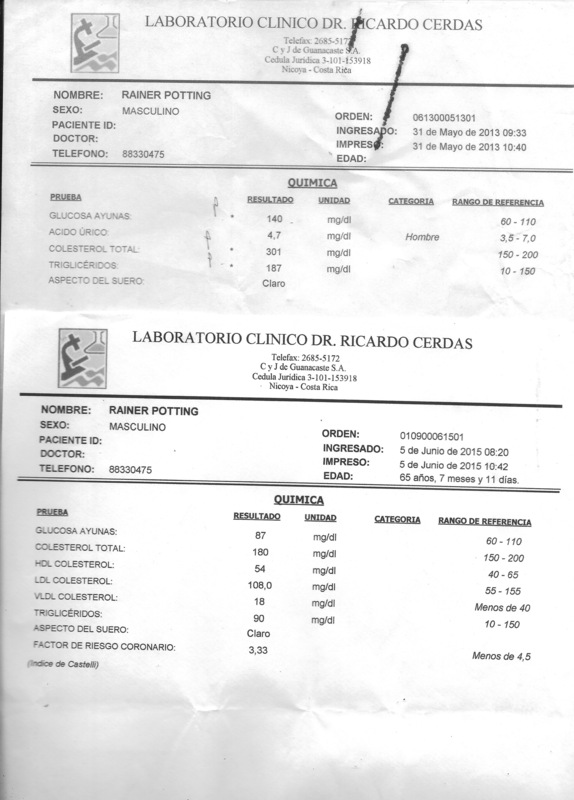 Checked again by the Laboratory, the glucose value was at 140 in the morning and 200 mg/dl 2 hours later. Also the blood pressure was increased and the Cholesterol results at 310 mg/dl. My confidence in doctors, based on personal experience, is not so high. Too often it is about the sale of drugs and too often you are sent around without improvements. My doctor then also recommended me to take various types of drugs to handle the blood pressure. The Tablets are a little expensive however the pharmaceutical industry is happy about their new customers. So I bought the prescribed tablets towards high glucose values and high blood pressure, which often was at 160/95. I did this a while, but soon was unsatisfied with my situation and informed myself on the internet. First I wanted to move then switch the diet. Exercise was easy for me. I just went for a walk on the beach an hour every day. This lead to a low blood sugar level afterwards. With the change in diet, I made some mistakes at first, until I figured out it actually is very simple: No animal fat, no sugar neither sugar substitutes. You can also vary the fruit. Along with organic coffee or tee. I was totally surprised that I had changed my health in such a short amount of time, through just proper diet and exercise. In addition I felt great and full of energy. Also we offer medicinal plants like Moringa, Aloe Vera, various Asian and Chinese Tees and more. Improve health while making vacations in Costa Rica. A Room at the Pacific-sandy beach, double room from just 40 Euro. The Hotel Costa Rica it is located 300 meters from the Turtle sandy beach Buena Vista, Samara, where currently turtles still arrive. Also there were whales to observe just a few days ago. You can also just relax and enjoy your delicious food! PreviousHealthy food on your holiday in Hotel Costa Rica on the Pacific-sand beach.